Set the programmer in remote mode "remote exfile" by pressing "Shift+Enter" and after that start the software; then this software will test the port at various speeds and then when it find the right speed the software can operate normally. Le prog ne passe pas à travers XP..
Bdtelic.zip (ZIP Archive - 360Kb) Software that allow to emulate Élan C41, Élan 5000, Datai/o 29B et Datai/o 0288 programmers. This software was used to load EPROMs of Alcatel 2600 Autocom during release Changes of the pabx software. huge quantity of EPROMs in these autocom.The software works under MS-DOS; to start the software you have to execute "BDCLIENT.BAT",You must also create a directory on c:\ with name "BDTELIC" and copy all the files in it. In the ZIP Archive there is a Télic database which is here to understand the mechanism of the operating software. It allows to read binary files and to send them with there contents to the blank EPROM via the programmer. With ZIFPAC-187 you can program any 87xx Intel Compatible Microcontrollers from various Manufacturers. AMD_UV, AMD_FLASH, ATMEL, CATALYST, CYPRESS, EUROTECHNIQUE, EXEL, FUJITSU, GENERAL INSTRUMENTS, HITACHI, HYUNDAI, ICT, INTEL_UV, INTEL_FLASH, ISSI, MACRONIX, MICROCHIP, MITSUBISHI, MOSTEK, MOTOROLA, NATIONAL, NEC, OKI, ROCKWELL, SAMSUNG, SEEQ, SGS-THOMSON, SAMSUNG, SIGNETICS, SST, SYNERTEK, TEXAS, TOSHIBA, VTI, WSI, XICOR. tableau Excel avec les « devices » programmables avec le ZIFPAC 142 et sans doute le 932. 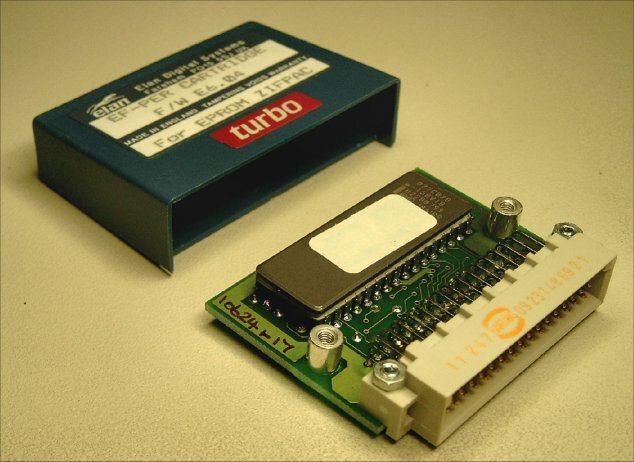 - Firmware TURBO E6.04. (pour ZIFPAC 142 et sans doute 932) La cartouche d’origine est marquée en rouge TURBO.